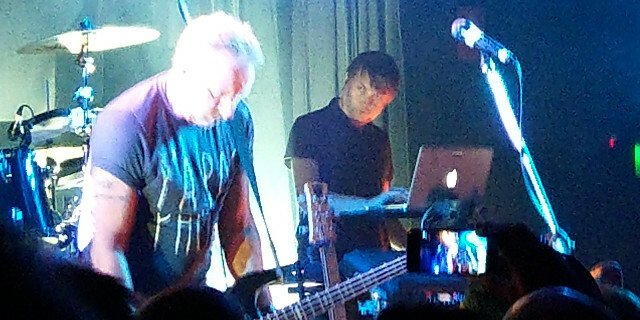 October 14 was the final night of several concerts at The Corner hotel with Peter Hook & The Light performing either the Joy Division albums Substance or Unknown Pleasures and Closer at The Corner Hotel, Richmond. In this case, it was the latter. Unsurprisingly as part of the fascinating long-running feud with the other members of the reformed New Order this has attracted some criticism. For the punters of course, it is still about the music. 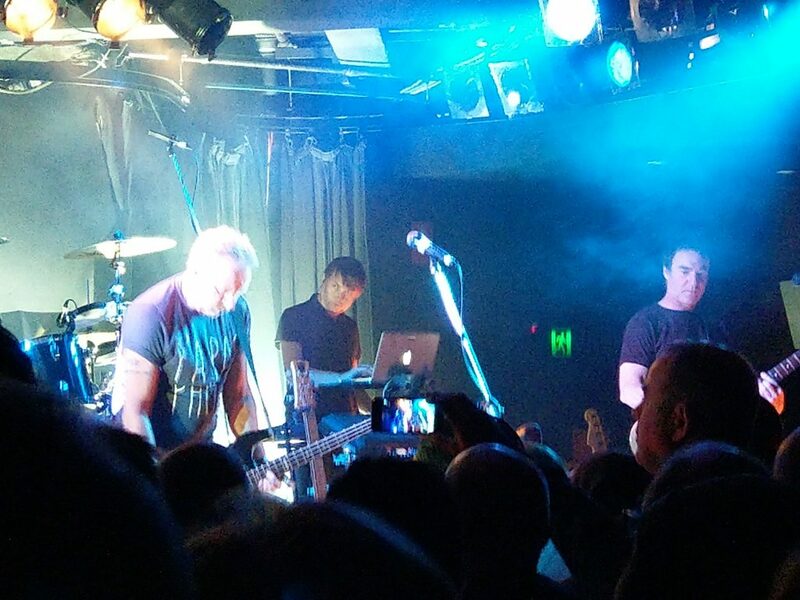 Although when the reformed New Order is playing in the Sydney Opera House with a lot of new material, whereas Peter Hook and the Light are playing, post-punk style, in less salubrious venues it is clear that there are some very clear aesthetic considerations. Prior to playing the content from Closer and Unknown Pleasures, there was a short selection of some early New Order and Joy Division, including several tracks (“Doubts Even Here”, “ICB”, “The Him”) from New Order’s largely underappreciated first album, Movement, which was a pleasant surprise. Regardless of the quality of this material, the departure from the billing was initially somewhat disconcerting. A note must be made of the excellent mixing, especially in a venue which not always excellent in such regards. These concerns were quickly alleviated as the band moved ito the content from Closer, and then later onto Unknown Pleasures. The famous controlled feedback on the opening “Atrocity Exhibition” was significantly reduced, with a much greater emphasis on the drums, giving it a real jungle-sound, not that this made the lyrical content any less disconcerting. Drummer Paul Kehoe was exceptional not just on this song, but throughout the entire night, whereas Peter Hook’s singing was notable for not really having the same vocal range as Ian Curtis, but still made a very impressive front-man. Another feature that became evident throughout the night was the band’s desire to extend several tracks form both albums. The final track from Closer, “Decades”, had a particularly long extension of guitar and drums, the former creating a very different style – but still interesting – to what we’re used to. Other songs such as “Interzone” benefited greater from the live performance extended mix with the audience responding with passionate approval. On the contrary one of the band’s most famous tracks, “She’s Lost Control”, came across as surprisingly flat. For a set that was over two hours and covering the equivalent of three albums in total it was not unexpected that there were a couple of major breaks during the night, especially given the lack of even a minute’s break between tracks. An encore was nevertheless requisite and well received, with three of Joy Division’s most well known tracks, “Digital”, “Transmission”, and of course, “Love Will Tear Us Apart” which of course were lapped up appropriately by the audience. Overall, great content, well-performed, and pitched well at the ageing post-punk audience who had come to hear the best of the cheerless and morose sounds of the early 1980s.